"Meet Daniel Sullivan, a man with a complicated life. A New Yorker living in the wilds of Ireland, he has children he never sees in California, a father he loathes in Brooklyn, and a wife, Claudette, who is a reclusive ex–film star given to pulling a gun on anyone who ventures up their driveway. Claudette was once the most glamorous and infamous woman in cinema before she staged her own disappearance and retreated to blissful seclusion in an Irish farmhouse. 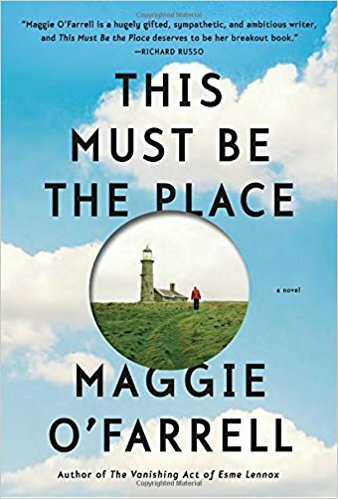 But the life Daniel and Claudette have so carefully constructed is about to be disrupted by an unexpected discovery about a woman Daniel lost touch with twenty years ago. This revelation will send him off-course, far away from wife, children, and home. Will his love for Claudette be enough to bring him back?" 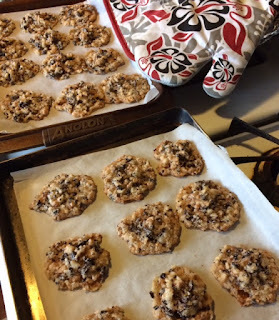 I'm doing something new today - First Chapter ~ First Paragraph Tuesday Intros, which is hosted by Diane at Bibliophile by the Sea, where bloggers post the first paragraph(s) or introduction of a book they are currently reading or planning to read sometime soon. I have noticed some stunning beginnings in my reading years, though the books don't always live up to them. 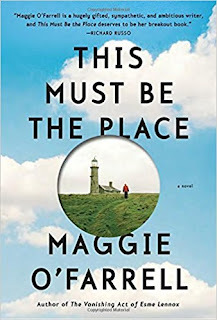 My contribution today is This Must be the Place, by Maggie O'Farrell. I'm just into the second chapter, but it's quite good so far.